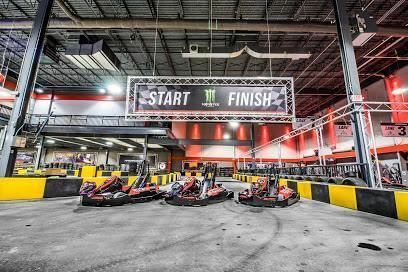 RPM Raceway is perfect for birthday parties, corporate events, bachelor and bachelorette parties, personal celebrations or people who would rather just race with their friends than strangers. And since our tracks are indoors, you won’t have to worry about the weather. All of our special event facilities include audio and visual equipment, flat screen monitors and state-of-the-art technology. Best of all, we’ll take care of the planning, that can include catering, arcade play, trophies and more. RPM Raceway offers Private Track Rentals by the hour. This provides unlimited racing during your private event, while the rest of the facility is still open to the public. You can keep a track to yourself along with personal meeting or party space, but you don’t have to pay the price of closing the whole building. RPM Raceway’s Facility Buyout includes a completely private event and access to all of our meeting and party rooms. The entire facility is closed to the public so your group can have exclusive use of it.